Over the last few days I have been trying to get into a more positive mindset about this race. I think it was kind of therapeutic to write about my pre-race anxiety, even though it may have come off as negative and depressing. Rob and I ordered “Spirit of the Marathon” and watched it on Sunday night while I foam rolled and drank nuun. On my Monday run my leg was still bothering me, even though I took it easy and didn’t run any hills. I felt frustrated and continued to worry about how the race would go. I went to see my chiropractor on Wednesday, and he did some ART on a spot in my quad where he said I have a huge, deep knot. He wanted to do dry needling but didn’t have time that evening (plus I had lotion on my legs and apparently you can’t do that with lotion on). So I will be going back on Friday for dry needling and to get taped. (If you have never heard of dry needling, you should look into it! I hadn’t heard of it until I started going to this office, and it cleared up my piriformis syndrome in 1 treatment after I had been to PT and 2 other chiros for a year). After the ART last night I was hopeful about my run this morning. My leg felt better, but still bothered me for half of the run and I only did 3 miles. However, it felt much better than usual throughout the rest of the day. I am crossing my fingers that it feels good enough on Sunday! It will probably be in the mid 50s at the start and 70ish by the finish. I think the warmest weather I have run in since last October was 55 degrees. I’m not sure how my body will respond to running in those warm temperatures, but I can’t do anything about it except to make sure I stay hydrated. I started making a list of what I will need to pack for the weekend. This is just a list of the “running-related” items. Is there anything I am forgetting?! I am going to the RRCA running coaching training! I have wanted to do this for awhile but the courses fill up really fast. I got an E-mail that they added new courses, and I signed up right away! My friend has a house in Cape Cod that is really close to where the training will be, so we are making a long weekend of it! I am so excited to learn more about running and be able to help other runners to reach their goals! What are other race essentials that I left off of the list? Have you ever used a running coach? What did you like or not like about the experience? 13 responses on Staying Positive With 3 Days To Go! I think your list is very comprehensive! Nothing else I can think of! That is really exciting about the training! I am sure you will be an amazing coach! I have used a coach. (head of our running group) I loved it! It is nice to have someone to ask all your questions to! I love the social aspect of the group, too. I agree that its so helpful to have someone to ask lots of questions about running! I think you will be an amazing coach – and I’m really excited to see how your race goes! I think you’ll do amazing and your prep list looks good! Get after it! I hope you have a wonderful race this weekend! I think you’re going to do great and your list looks good to go. I have a chiropractor who I love, but I haven’t heard of dry needling. Maybe I should bring that up to him and see what he says. Congrats on signing up for your course! I’ve never used a coach, but I’ve been considering working with one. Maybe I can hire you! Dry needling is pretty crazy! (It doesn’t really hurt but its not super fun either:)) I have never worked with a coach either, but I am also considering it since I feel like I have kind of hit a plateau with my running. I would love to coach you!! Great list – looks like you are ready! 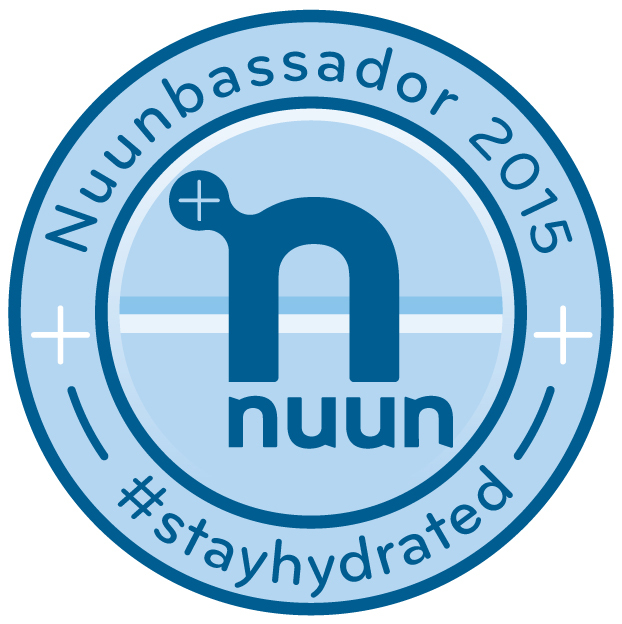 I’m certain you’ll do great at the race – just make sure to keep hydrated in that heat! And exciting about the coaching – you will do great! I noticed your comment and reply coming in soon after each other yesterday and had to laugh! So glad you did well! sending positive vibes your way for the race…good luck!!! sounds like u’ve got ur bases covered, at the starting line be CONFIDENT and excited! oh, and don’t go out too fast…negative splits baby! YAYA..u’ll be a great coach! You’re probably running RIGHT NOW and I’m really excited for you! Can’t wait to hear about it! Also very excited for you about RRCA – hope you love it!